Dan Chan engages and excites with strong visual magic and a unique blend of clean magic and comedy. His high energy and amazing presentations will amaze and amuse all audiences. He presents the perfect program for any event. 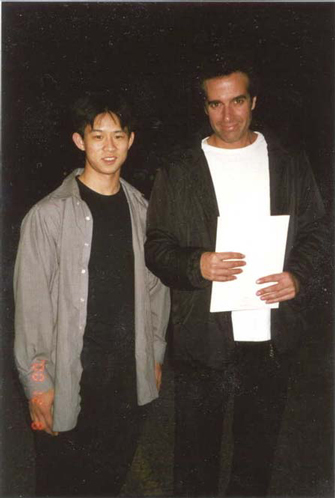 Daniel is known for being one of the top slight of hand performer in California. With a truly original show, your event will be remembered for years to come. Dan is one of the few top entertainers still performing at birthday parties, libraries and community events while traveling worldwide for corporate clients. More reasons to choose Dan Chan Magic Man? All shows are high-energy, full of audience participation, packed with laughs, and always 100% clean! I specialize in amazement. I guarantee fun. Making magic is my only job. There is definitely a different sense of mystery when you see a professional magician in person. There are no camera tricks to confuse you and no commercial breaks that tend to make you doubt. There is nothing to distract you. Everything happens right in front of you. You will be amazed, baffled, bewildered, and delighted. Through Daniel pure sleight of hand miracles happen. The magic happens just a few feet away from your ever-searching eyes. People will thank you for inviting them to your event. You will be remembered for throwing a great party when you invite Dan Chan to perform. My clients are always satisfied with choosing the highest entertainment value and best service. This is reflected in clients hiring me back often and overwhelming amount of word of mouth referrals. Daniel is also the preferred entertainer for many Bay Area libraries because he includes live doves in a "Las Vegas" style dove act. At the end of the show children can pet the live doves! Parents love him because he sprinkles many educational messages in his presentation. Previous clients include IBM, Intel, SF Giants and many more. Because your event is important to you make it special and memorable by hiring Dan Chan the Magic Man. Dove Magic, watch Dan magically produce two doves. A transparent balloon bursts and changes to a fluttering dove in mid-flight. At the end of the show all the children may pet the dove and take pictures with the dove. Also if this is a birthday event, Dan can magically produce a goldfish from a goldfish bowl for the birthday child to keep!